Polished sterling silver. 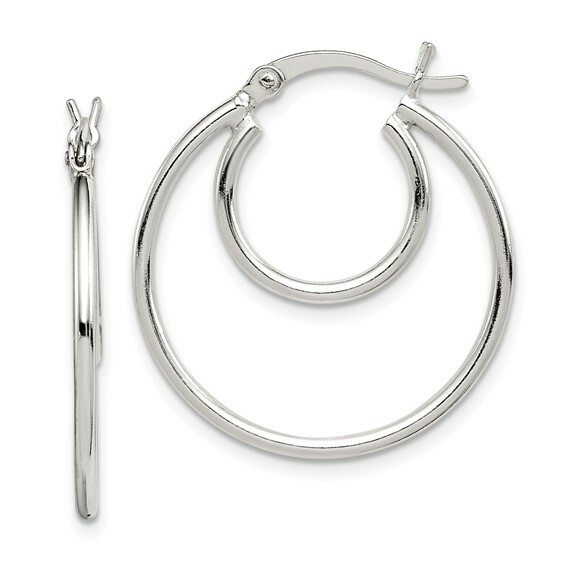 Two hoops, hinged post. Weight: 3.9 grams. Earring measures 1 x 1in. Made in India.